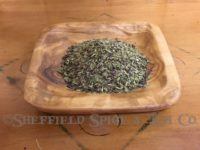 Categories: Spices, Blends, Rubs & Mixes, Chicken & Fowl, Pork. Our British Pub Chicken Seasoning is fit for the Queen. In any British Pub a hearty meal can be had to savor with your pint of ale. Chicken has always been on the menu along with Roast Beef and a flakey Cornish Pasty. 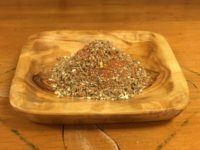 Our Pub Chicken Seasoning will enhance your roast chicken, baked chicken, fried chicken or chicken on the grill. It may soon become your favorite seasoning for more than chicken. 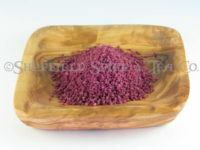 As with most chicken seasonings, they are usually work well with many pork dishes. 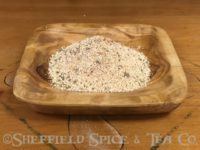 Our British Pub Chicken Seasoning will make your pork chops, medallions, and even Chicken Fried Steak the hit of the meal. You can add the seasoning to the flour before dredging or just sprinkle on as needed. Add it to roast potatoes and root vegetables in your roasting pan or a foil packet on the grill. The seasoning is also delicious sprinkled on some thick, buttered eggs noodles with some lightly toasted bread crumbs. This is more of a German noodle dish, but in the spirit of the European Union, we think the chicken and noodles will cooperate spot on and taste wunderbar. We have many other Chicken Seasonings to enhance all your poultry dishes. Among them please consider our most famous Chipotle Honey Rub, our Salt-free Flipping the Bird and Sweet Tweetee. 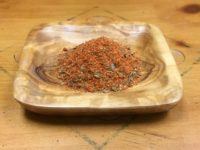 Our Salt-free Creole and Cajun Seasonings are perfect for chicken, as well as our Ethiopian Berbere for a spicy twist. We have many more, so please check out our complete line up. 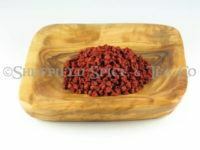 Our Curry Spice Blends are also wonderful on chicken. One example is our Madras Curry. Ingredients: Garlic, Sea Salt, Onion, Sugar, Herbs & Spices.